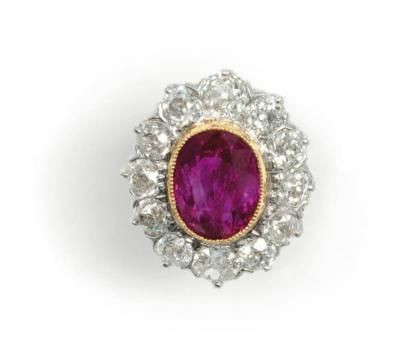 Formerly in a private American collection. No other vase of this type appears to be recorded. 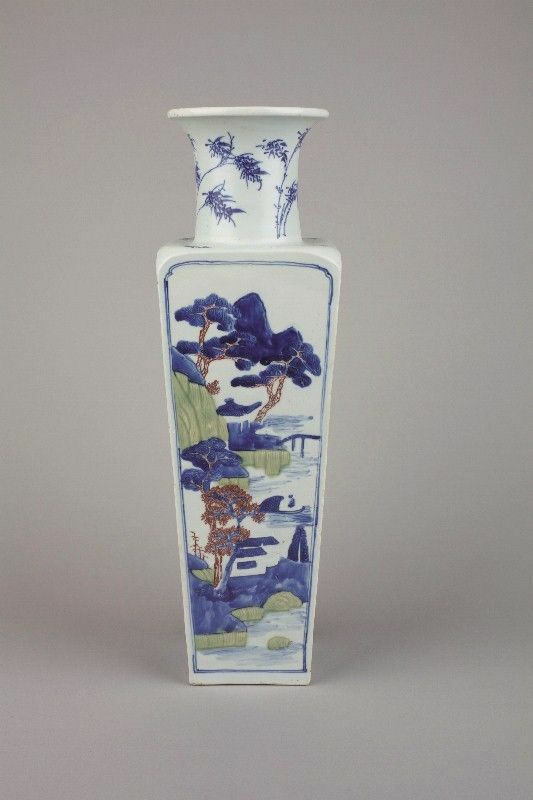 A similar blue and white vase, painted with a night visit to the Red Cliff and inscribed with part of the poem, together with a similar Kangxi mark and identical sprays of bamboo on the neck, is illustrated by Wang Qingzheng in Kangxi Porcelain Wares from the Shanghai Museum Collection, no. 31, pp. 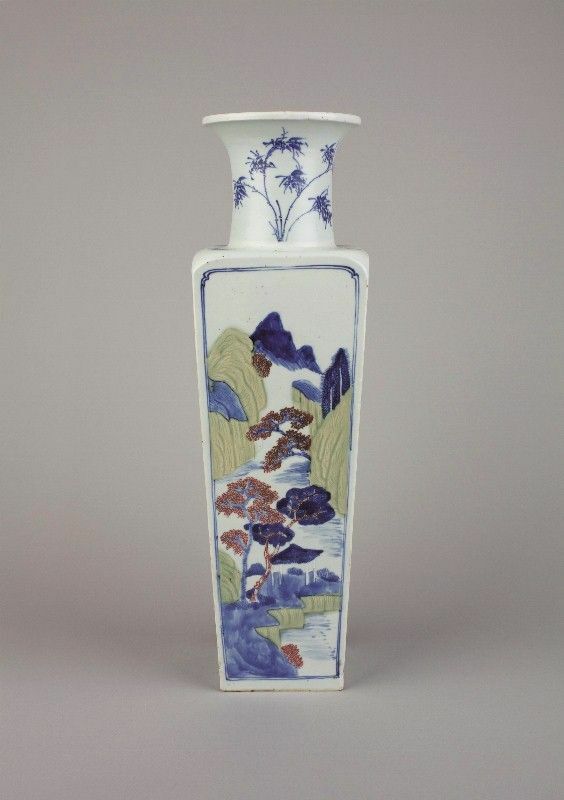 42-43, another from the Wang Xin Lou collection is illustrated by Julian Thompson and Dr. Robert D. Jacobsen, in Imperial Perfection, The Palace Porcelain of Three Chinese Emperors, no. 2, pp. 30-31. 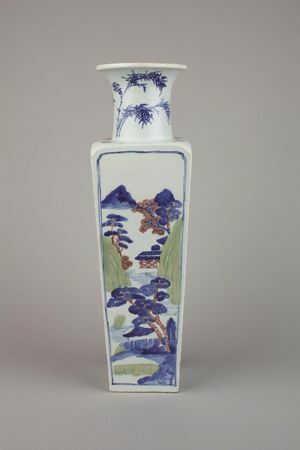 A chinese porcelain blue and white bottle vase, four character mark of chenghua. kangxi 1662-1722. 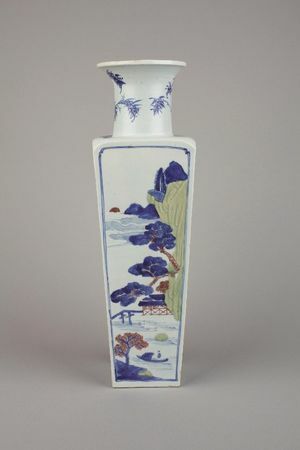 A chinese porcelain blue and white baluster vase. 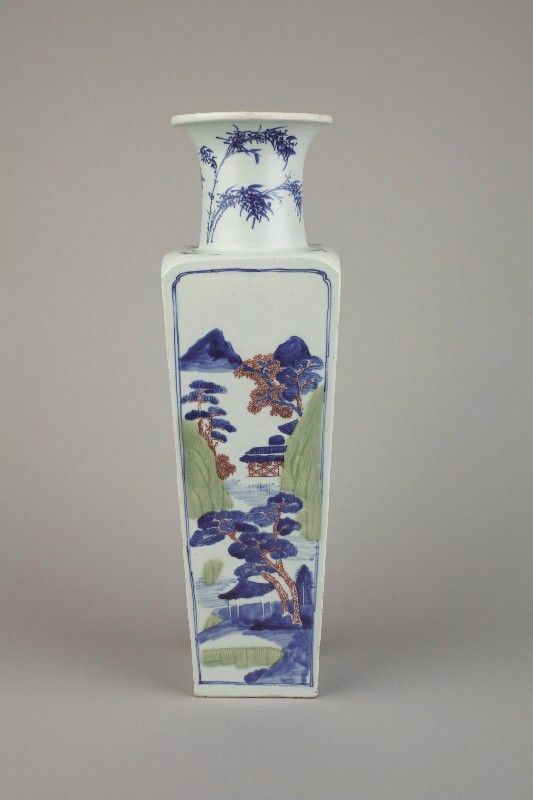 kangxi 1662-1722. 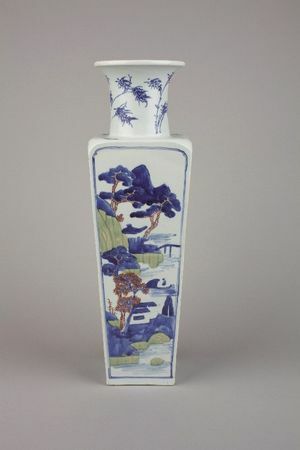 A chinese porcelain blue and white bottle vase. chongzhen, 1628-1644. 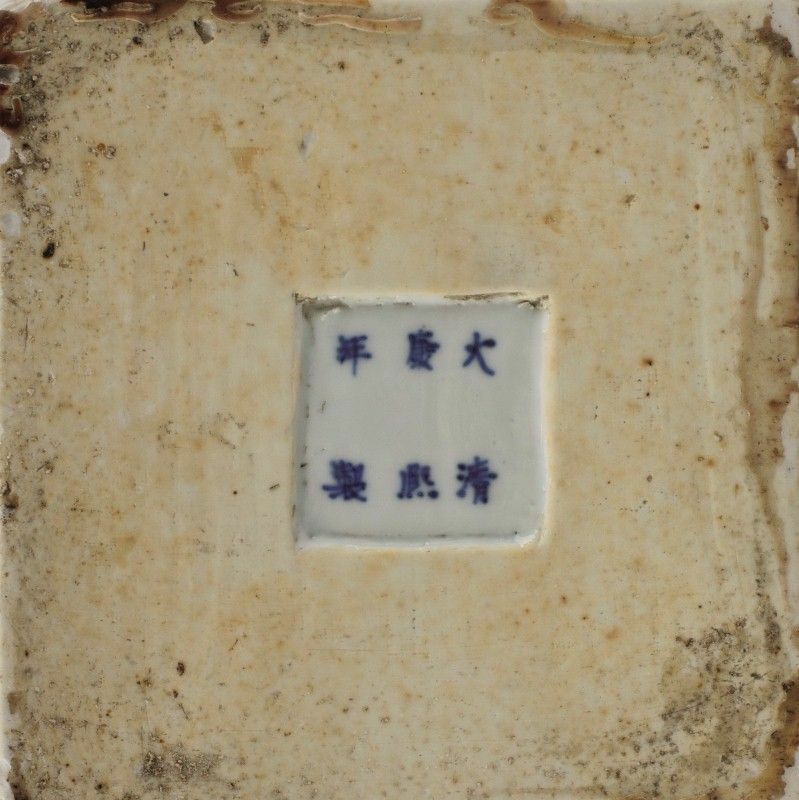 A chinese porcelain minyao blue and white bowl. six character mark of kangxi within a double ring and of the period, 1662-1722. A copper-red 'three fruits' bowl.. kangxi six-character mark and of the period.